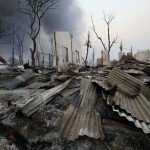 Bombs ripped through one of the world’s holiest Buddhist sites this week in an apparent act of revenge for Buddhist attacks on Muslims in neighboring Myanmar. 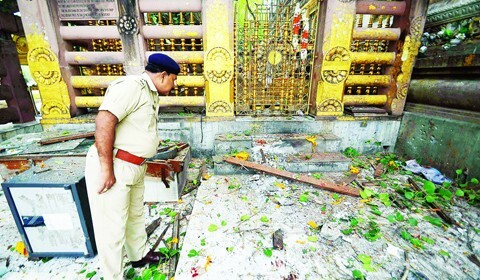 Nine bomb blasts damaged parts of the Bodh Gaya temple complex, home to the Bodhi Tree, on the site where Buddha is said to have achieved enlightenment. The tree was not damaged. In Myanmar, hundreds of Muslims have been killed in the past year by Buddhist mobs, some led by monks, and Buddhists in India and Tibet have been threatened with revenge attacks.